To find NCRA, please use the directions below. We've already compiled a few origins for your convenience, from several major airports in our area. Please click the starting location above to show those directions. 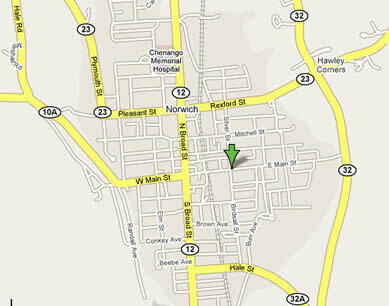 The map below shows our location in the center of the cty of Norwich, New York.